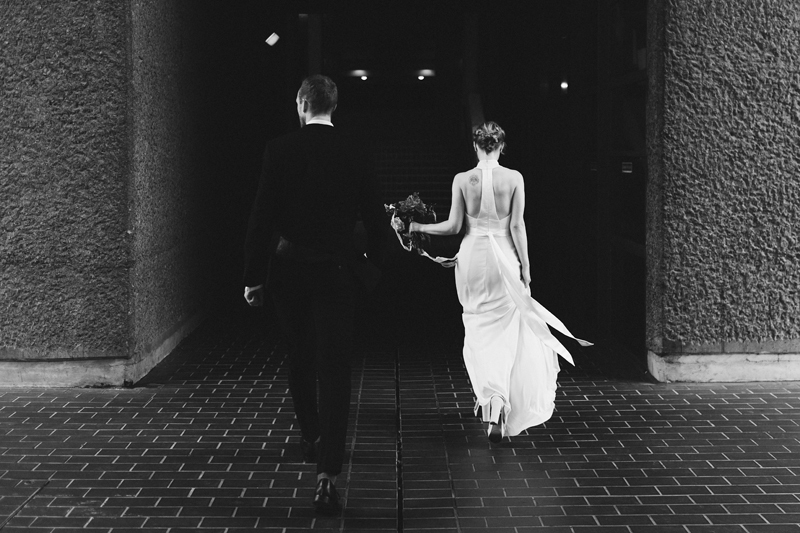 An intimate wedding ceremony at Chelsea Town Hall, confetti on the steps, a stroll through Chelsea & a wander around their favourite parts of London. 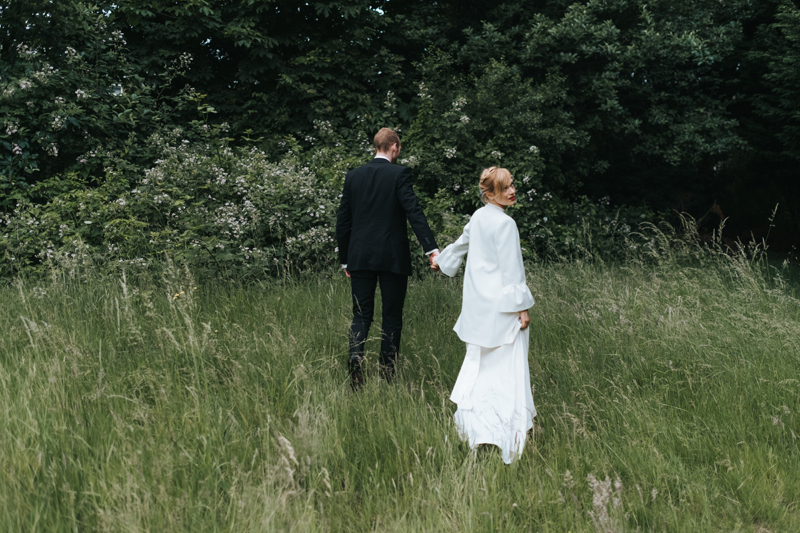 Edit & Andy eloped last week, opting for a modern take on a traditional wedding. 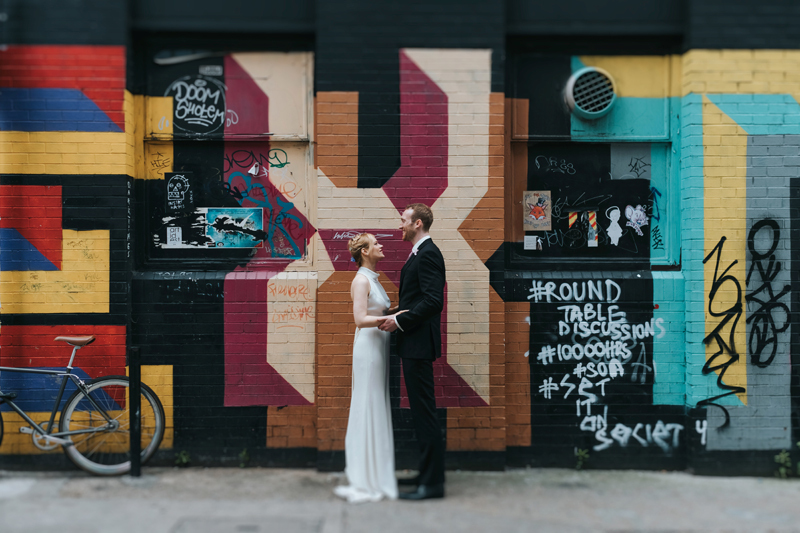 After their ceremony we jumped in a taxi for some relaxed couples photos in their favourite places, the Barbican with it’s brutalist architecture, Shoreditch filled with colour & street art, Elephant & Castle & Woolwich. 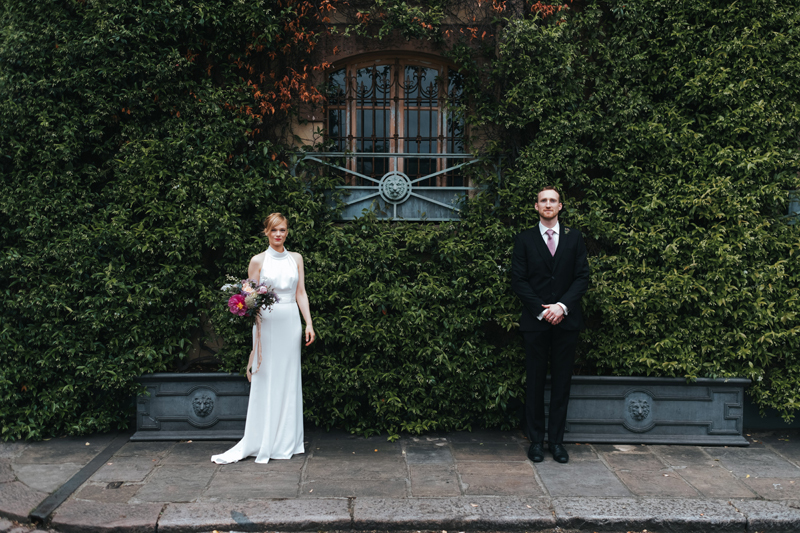 Edit wore a beautiful, contemporary wedding dress – a stunning, elegant Vera Wang halter-neck gown & Andy looked handsome in a classic black suit. 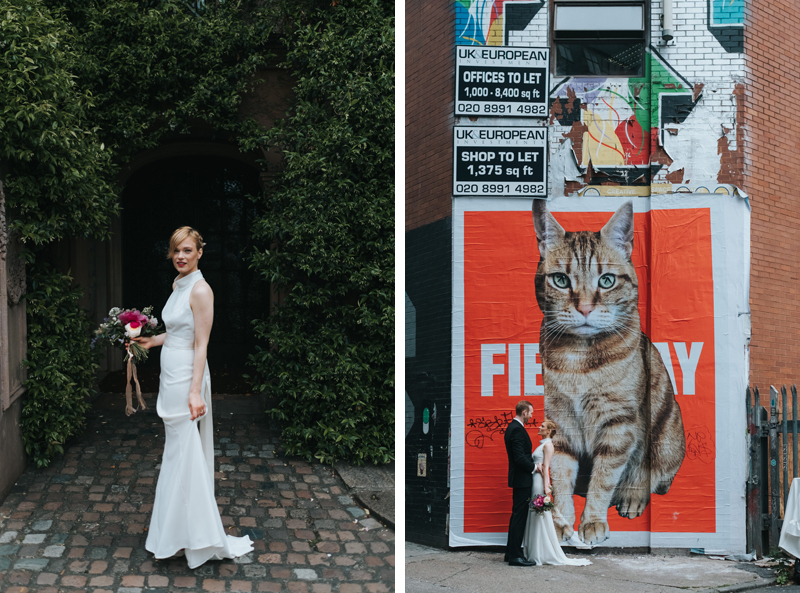 Here are a few previews from Edit & Andy’s London city elopement. 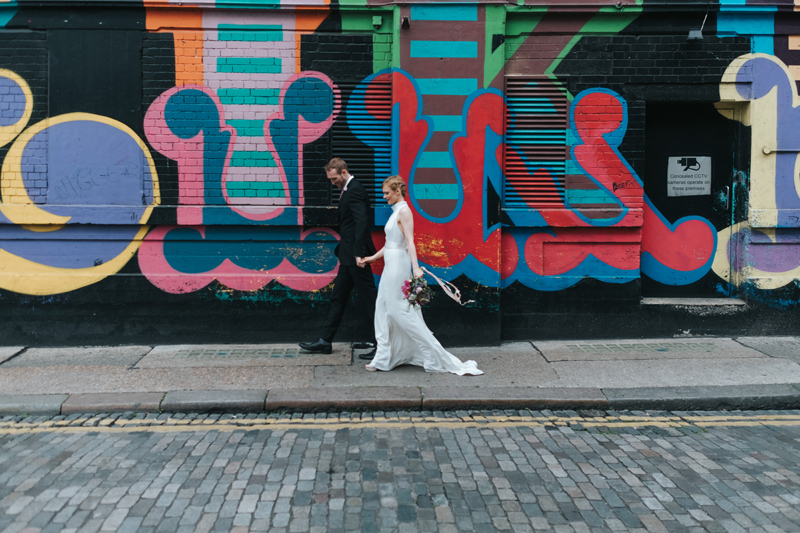 Love the contrast of the Graffiti against the bride! Beautiful frames. Her dress is so dreamy.